Sorry, no handbag-related post today. It's been a long and hectic week at work but I'm glad that the weekend is finally here. Mother's Day is fast approaching. Hubby asked for ideas so I gave him a few. 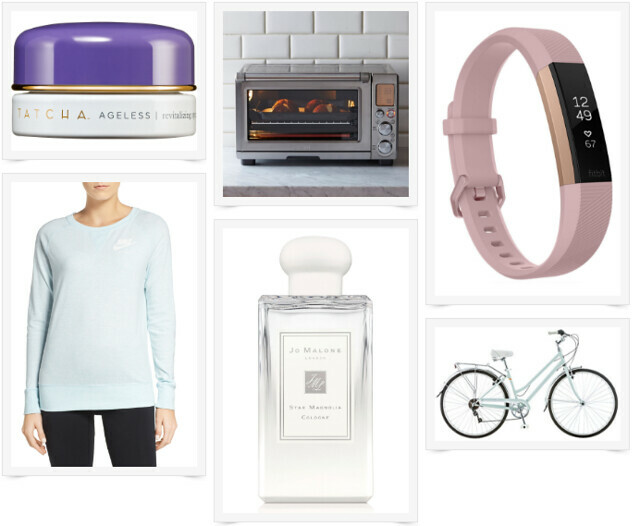 I thought I'd share my “wish list” with you as well just in case you're still looking for some last minute gift ideas. Of course, Mother's Day isn't about gifts. Children are a gift and an amazing blessing and I can't imagine my life without them. However, it's nice to know you're appreciated. Tatcha ageless eye serum: I use this serum every night and it's been working wonders. I am almost out of it and will definitely repurchase. I've tried several eye serums over the years and this one is seriously the best. You can see the results the very next day. Your eyes will feel hydrated and refreshed. Breville smart oven: Hubby got me this multi-cooker for Mother's Day last year and it's been a life saver. This year, I'd love to have the matching oven. I don't currently own a toaster oven and this one looks amazing. Fitbit Alta HR in rose gold: I purchased a Fitbit a few months ago and lost it 2 weeks after. I had no idea how I lost it. I was kind of mad at myself but oh well. I didn't want to spend money and purchase another one immediately but eventually, I'd like to have a new one. The rose gold version is so pretty. Jo Malone Star Magnolia: This is a limited edition that Jo Malone released for Mother's Day. I got this for my mother in law for Easter and fall in love with the scent. I wouldn't mind having one for myself. Mint green bicycle: I wanted a vintage style bike for what seemed like forever. Hubby and the girls have their own bikes but for some reason, I was never looking into getting one. This summer, I for sure will get myself a bike and start biking. Have a wonderful weekend, everyone!